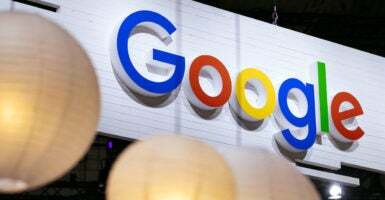 Google employees debated whether to bury conservative media outlets in search results as a response to President Donald Trump’s election in 2016, internal Google communications obtained by The Daily Caller News Foundation reveal. The Daily Caller and Breitbart were specifically singled out as outlets to potentially bury in search results, the communications reveal. Communications obtained by The Daily Caller News Foundation show internal Google discussions went beyond expressing remorse over Clinton’s loss to actually discussing ways Google could prevent Trump from winning again. “This was an election of false equivalencies, and Google, sadly, had a hand in it,” Google engineer Scott Byer wrote in a Nov. 9, 2016, post reviewed by The Daily Caller News Foundation. 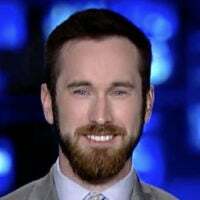 Byer falsely labeled The Daily Caller and Breitbart as “opinion blogs” and urged his co-workers to reduce their visibility in search results. “How many times did you see the Election now card with items from opinion blogs (Breitbart, Daily Caller) elevated next to legitimate news organizations? That’s something that can and should be fixed,” Byer wrote. “I think we have a responsibility to expose the quality and truthfulness of sources—because not doing so hides real information under loud noises,” he continued. Some of Byer’s colleagues expressed concern that manipulating search results could backfire and suggested alternative measures. One Google engineer, Uri Dekel, identified himself as a Clinton supporter but argued that manipulating search results was the wrong route to take. “I follow a lot of right wing folks on social networks you could tell something was brewing. We laughed off Drudge’s Instant Polls and all that stuff, but in the end, people go to those sources because they believe that the media doesn’t do it’s job. I’m a Hillary supporter and let’s admit it, the media avoided dealing with the hard questions and issues, which didn’t pay off. By ranking ‘legitimacy’ you’ll just introduce more conspiracy theories,” Dekel added. “Too many times, Breitbart is just echoing a demonstrably made up story,” Byer wrote in a reply to his original post. He did not cite any examples. “That happens at MSNBC, too. I don’t want a political judgement. The desire is to break the myth feedback loop, the false equivalency, instead of the current amplification of it,” Byer added. “What I believe we can do, technically, that avoids the accusations of conspiracy or bias from people who ultimately have a right and obligation to decide what they want to believe, is to get better at displaying the ‘ripples’ and copy-pasta, to trace information to its source, to link to critiques of those sources, and let people decide what sources they believe,” another Google engineer, Mike Brauwerman, suggested. “Give people a comprehensive but effectively summarized view of the information, not context-free rage-inducing sound-bytes,” he added. “We’re working on providing users with context around stories so that they can know the bigger picture,” chimed in David Besbris, vice president of engineering at Google. “We can play a role in providing the full story and educate them about all sides. This doesn’t have to be filtering and can be useful to everyone,” he wrote. Other employees similarly advocated providing contextual information about media sources in search results, and the company later did so with a short-lived fact check at the end of 2017. Not only did the fact-check feature target conservative outlets almost exclusively, it was also blatantly wrong. Google’s fact check repeatedly attributed false claims to those outlets, even though they demonstrably never made those claims. Google pulled the faulty fact-check program in January, crediting The Daily Caller News Foundation’s investigation for the decision. A Google spokeswoman said that the conversation did not lead to manipulation of search results for political purposes. “This post shows that far from suppressing Breitbart and Daily Caller, we surfaced these sites regularly in our products. Furthermore, it shows that we value providing people with the full view on stories from a variety of sources,” the spokeswoman told The Daily Caller News Foundation in an email. The discussion about whether to bury conservative media outlets isn’t the first evidence that some Google employees have sought to manipulate search results for political ends. After Trump announced his initial travel ban in January 2017, Google employees discussed ways to manipulate search results in order to push back against the president’s order. Trump speculated to The Daily Caller in September that Google and Facebook are trying to affect election outcomes. “I think they already have,” Trump said, responding to questions about potential election interference by Google and Facebook. “I mean the true interference in the last election was that—if you look at all, virtually all of those companies are super liberal companies in favor of Hillary Clinton,” he added. Google cited Wikipedia for the disparaging description, though a similar change made to Wikipedia’s page for the women’s group was corrected almost immediately. Google left up the digital vandalism for three weeks. Google apologized in May after search results for the California Republican Party falsely listed “Nazism” as one of the state party’s ideologies. Then, too, Google blamed manipulation of the party’s Wikipedia page for the inaccurate and disparaging description. Peter J. Hasson is a reporter for The Daily Caller.